Neighbor Joe (who happens to know a lot about dogs) popped by for a visit recently. He came over to tell me that he has a new dog. “Yup”, Joe says, “Adopted him from our local shelter”. (Good Boy, Joe!) “He’s supposed to be part Australian Shepherd and part Catahoula Leopard Dog.” (Yes, because we have so many intact Catahoula Leopard Dogs running loose and breeding indiscriminately in Central Illinois). “Perhaps New Guinea Singing Dog?” I suggest helpfully. “Yeah, could be”. Joe is thoughtful. “Reason I think this is that I am pretty sure this dog, who I have named Cujo (Of course you did), is really good at smelling fear in people. Joe explains. “Whenever Cujo meets someone who says that he is afraid of dogs, Cujo seems to know it. He starts woofing really loudly at the person and if I let him run up to the person (Bad Joe), Cujo gets even more upset and barks louder and louder”. I try to intervene. “Well, Joe, you know there could be a number of reasons that Cujo barks at folks who are not keen on having a large and untrained dog running up to them. Dogs are masters at paying attention to body language in humans, so Cujo may be reacting to these signals when a person is nervous or afraid”. Joe is having none of it (he does know a lot about dogs, after all). “Nope”, he says. “This dog smells fear. I bet that wolf or coyote or what did you call it, that New Something Yodeling Dog, is the reason that Cujo is so good at this. Wild animals can smell fear in us really well, you know”. I decided that I needed to get back to Joe on this one. Some Background: Our understanding of the dog’s social cognition and ability to understand human communication signals continues to expand. We have research showing that dogs recognize a wide range of emotions displayed in human facial expressions, are highly sensitive to the tone and pitch of our voices, and are capable of discerning the emotional import of very subtle body cues. Oddly enough, even though the dog’s extraordinary sense of smell has been known for many years, only a few studies have examined the role that odors play in the dog’s ability to detect emotional states in others. Neuroscientist Gregory Berns’ work with dogs in MRIs showed that the portion of the dog’s brain that is associated with pleasure is activated by the mere smell of his or her owner. However, this does not tell us if these dogs were reacting to their owners’ emotions. A study conducted in 2011 reported that the smell of a veterinarian’s sweat increased the arousal level in most dogs. Later work by the same group of researchers found that the smell of a fearful human caused increased heart rate in dogs. This newest study, the one on my desk, was published by Biagio D’Aniello and his research team at the University of Naples in Italy. It is the first to examine the ability of dogs to detect and respond to the emotional signals of human airborne odors in the absence of other visual or auditory cues. The Question: The authors wondered if dogs who are with their owners would change their social behavior in response to the smell of a human who was experiencing intense emotion – either fear or happiness. Because other research had shown that dogs will seek out their owners as a secure base when anxious, they also wondered if dogs who “smell fear” would become stressed and look to their owners for support. The Study: A group of eight human “sweat donors” (yes, that really is a thing) were asked to view one of two videos, one that induced fear or one that induced happiness. As they watched, the sweat from their axillae (arm pits) was collected using sterile absorbent compresses. The donors also completed a standardized anxiety profile to ensure that the targeted emotion had been achieved (relaxed/happy versus anxious/fearful). Sweat samples were stored in dry ice and then pooled to provide composite “fear sweat” and “happiness sweat” samples for use in the study with dogs. A group of 40 adult pet dogs (Labrador and Golden Retrievers) and their owners participated in the test and were randomly assigned to one of three conditions: (1) Happiness, (2) Fear, or (3) Control (no scent). During the pre-test period, a heart rate monitor was attached to the dog and the dog was given ample time to explore and acclimate to the testing room. At the start of the test, an experimenter entered the room and placed an apparatus containing an open vial containing the sweat pads in the middle of the room. The vial was constructed to allow the dog to investigate by sniffing, but disallowed the dog to directly touch or contaminate the vial’s contents. During the test period, the dog was allowed to move freely about the room while the owner and one of the researchers (who was unfamiliar to the dog) sat quietly in chairs, without interacting with the dog. 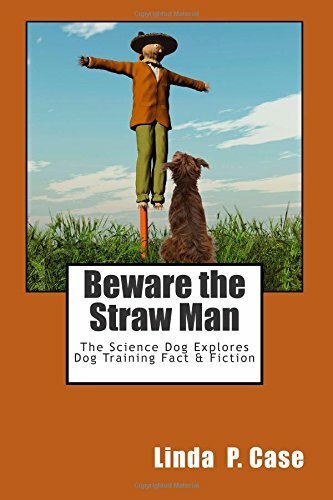 Neither the dog’s owner nor the experimenter who was acting as the stranger knew which condition the dog was assigned to. For a five-minute period, the dog’s heart rate, body language, movements toward/away from their owner and the stranger, and stress-related behaviors were videotaped. The researchers used a statistical procedure called “linear discriminate analysis” to discover whether dogs showed a consistent set of behaviors in reaction to the three conditions (happy sweat, fearful sweat, or control). Happy Sweat: When exposed to “happy” sweat, dogs demonstrated fewer and shorter owner-directed interactions and more frequent stranger-directed interactions compared with when they were exposed to “fear” sweat. These results suggest that the dogs in this condition felt relaxed enough to greet a stranger and did not seek reassurance from their owner. Fear Sweat: Conversely, dogs who were exposed to the “fear” sweat demonstrated more frequent stress-related behaviors that lasted for longer durations, in some cases for the entire trial period. Dogs in this condition also showed increased owner-directed behaviors compared with stranger-directed behaviors, suggesting that they were seeking support from the owners while feeling stressed. Heart Rates: Dogs in the “fear” condition had consistently higher heart rates during the testing period when compared with dogs in either the happy condition or the control condition. Increased heart rate is an established measure of sympathetic nervous system stimulation that signifies emotional arousal and was consistent with behavioral signs of stress in the dogs. Conclusions: The authors concluded that human chemosignals (sweat smells) significantly influenced both the physiological status (heart rate) and behavior (primarily stress) of dogs. Their analysis indicated that the two emotions (happiness vs. fear) that were conveyed by the sweat samples each induced a set of consistently distinct behaviors in the dogs. While dogs are masters at picking up on our body cues and vocal signals, and often react accordingly, the unique factor in this study was that the transfer of the emotional content of olfactory (scent) signals occurred in the complete absence of visual (body language) or acoustic (voice) cues. Take Away for Dog Folks: The implications of these results for trainers are pretty clear. Not only should we be paying attention to the subtle body cues, facial expressions and vocal cues that our dogs perceive, we perhaps should also be thinking about, um, how we (and others) smell. A dog who is reacting to an unfamiliar person may not only be paying attention to that individual’s body language, but also to cues that are (in most cases, we hope) completely imperceptible to us. So, if you are going out to train your dog after bingeing on watching Scream sequels, you may be best served to jump into the shower beforehand. Similarly, if you just watched Air Bud or Up, popping out for a bit of dog training after the movie is probably just fine and dandy. And, if you have a dog who, like Joe’s Cujo, seems to be reacting to the smell of fear in someone, well, hard as it is to admit; Joe may be right on this one. Your dog may actually be smelling fear. Cited Study: D’Aniello B, Semin GR, Alterisio A, Aria M, Scandurra A. Interspecies transmission of emotional information via chemosignals: From humans to dogs (Canis lupus familiaris), Animal Cognition 2017; DOI 10.1007/s10071-017-1139. 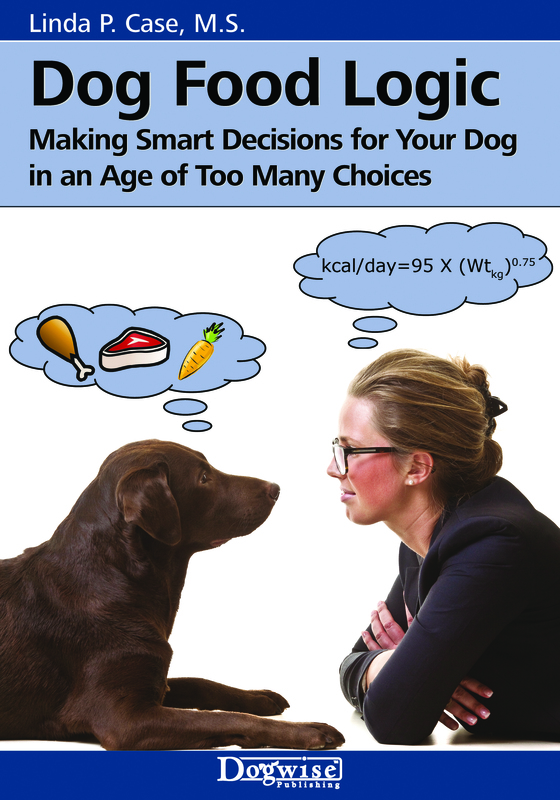 Read more about Neighbor Joe’s adventures in Linda Case’s newest book, “Dog Smart: Evidence-based Training with The Science Dog“! Previous Post Does this Smell Funny to You? Linda, I so appreciate your summaries of the methodologies used in these posts. The conclusions are fascinating, of course, but the methodology allows me to visualize the experiment in three dimensions and think about how it relates to the wider world. For example, if “nerves” create a distinct scent signature similar to fear, think about the implications for “ring-wise” dogs…..or dogs who behave differently at trials than in other training environments. I so appreciate your blogs! My mother used to say that she could not bear how own body odour when she was afraid. Since fear causes (or according to James O’Heare) is physiological change (sweating, shivering, diarrhoea, etc.) then it seems obvious that any animals with a good sense of smell would be able to smell it on humans. Especially since we humans are really the sweatiest species. I have a couple of anecdotal experiences that taught me to realize that dogs use scent in this way. One was a woman who clearly smelled ‘off’ (she had some chronic illness which she mentioned to me) – I taught classes in a retail environment and the friendliest most affiliative dog in the class I was teaching barked and backed up all the way across the ring away from her. Also, same environment, many dogs would not willingly work at the back of the store where grooming and the vet clinic were – my assumption was pheromones or some chemical signal other dogs gave off in those places. Good to see research being done to confirm what some of us have seen empirically. Very interesting to read that study. On the basis that dogs can detect cancers and diabetes, and have all those millions of olfactory receptors, it seems entirely reasonable that their ability to interpret smells is considerably ore complex than was previously thought! It was interesting that the dogs exposed to the fear sweat showed more owner-directed behaviors. “Joe” may have thought that the “common wisdom” would say that fear sweat would attract dogs to you. “Don’t let them know you are afraid, they will attack” mentality, which appears not to be correct. I hope these researchers continue this work. Oh, my gosh! I have been waiting for someone to do this study forever! It seems so obvious that the way dogs “read our minds” to avoid a bath or agitate for a walk is by detecting the faint signals our bodies give off as our brains contemplate action. Would that we could further technology to better capture scent and do more in this area. Super, super post, Ms. Case. Thank you! Totally agree “Prairillon”! I will keep my eyes open for follow-up studies on this topic for sure! I always change the towels on my grooming table after doing one of my dogs to remove any stress scent that they left behind. Most don’t mind grooming but doing their nails isn’t their most favorite thing. So, I want to make sure that each dog starts a grooming session with a clean slate (or at least a clean towel on the assumption that most of the stress scent comes from their paw sweat). Glad to see some scientific evidence that I’m doing the right thing. Hee Hee – Definitely do that! Another we nderful blog, thank you Linda. I’d always wondered whether scent played a part in how dogs learn to read human facial expressions – perhaps so! Thanks Carol! I agree – I think that we tend to underestimate the importance of scent to our dogs. Thought this study and its results were fascinating!